A re-elected Andrews Labor Government will make our TAFEs better than they have ever been, with a new $220 million Building Better TAFEs Fund. Under Labor, the new dedicated fund will see bigger, better facilities and campuses around Victoria, ensuring local communities can rely on a great local TAFE. Campuses set to benefit include The Gordon Institute in Geelong, the Collingwood campus of Melbourne Polytechnic, GOTAFE in Seymour and a new library and learning hub for South West TAFE in Warrnambool. More projects will be announced in the coming weeks. Four years ago, things were very different. Back then, the Liberals had cut more than $1 billion from our TAFEs, closing 22 campuses and facilities across the state, and costing hundreds of dedicated staff their jobs. It left communities hurting, and kids without hope for their future. Since then, Labor has devoted every day to repairing our state's TAFE sector, restoring funding and reopening closed campuses. 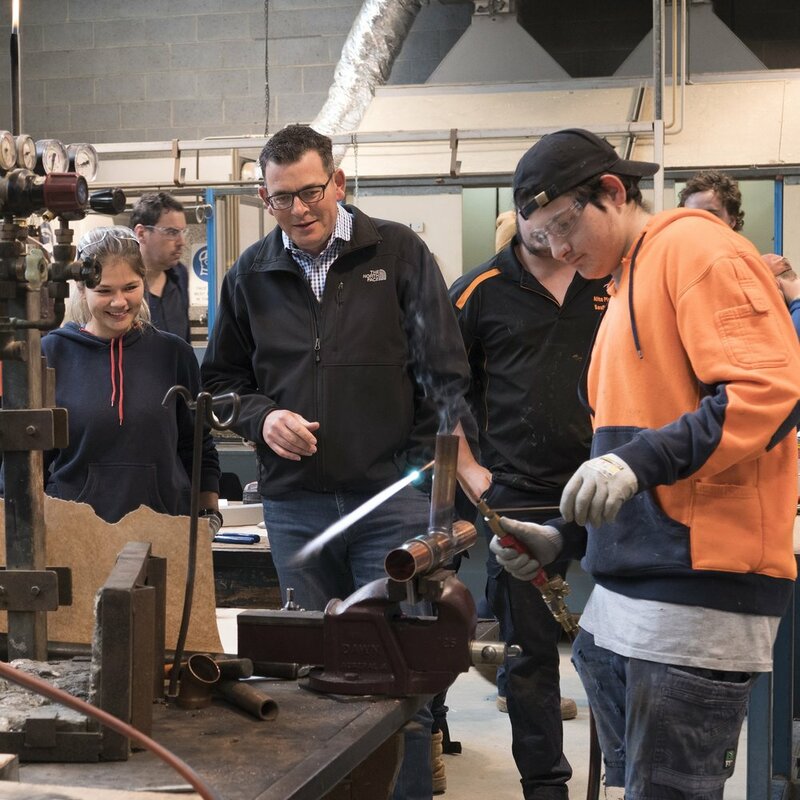 And because we want to make sure it’s Victorians who are first in line for new jobs building our state, Labor has also made 30 priority TAFE courses and 20 pre-apprenticeship courses free. Because only Labor believes in TAFE – and only Labor will back TAFE students and staff. Every day, countless Altona students head to TAFE to train for long and prosperous careers. Our $220 million Building Better TAFE Fund will help them achieve what they set out to do.